Lieutenant Colonel Mahbubul Alam Chowdhury (Retd) joined as Director Foundation of Hamdard, Bangladesh in April, 2008. Just before joining such an organization that works for humanitarian cause with dedication he successfully completed his Military career of twenty nine (29) years in the Bangladesh Army. From his early days he had a dream and hungry desire to do something for humanity, society and all kinds people of his country without self interest. He got his chance to participate in philanthropic activities in a well organized and very much systematic Social-service institution; so he could not resist his emotions, but to join Hamdard Foundation, Bangladesh to full-feel his long dream and desire. On 7th February, 1958 Lt Col Mahbub was born at Mymensingh. 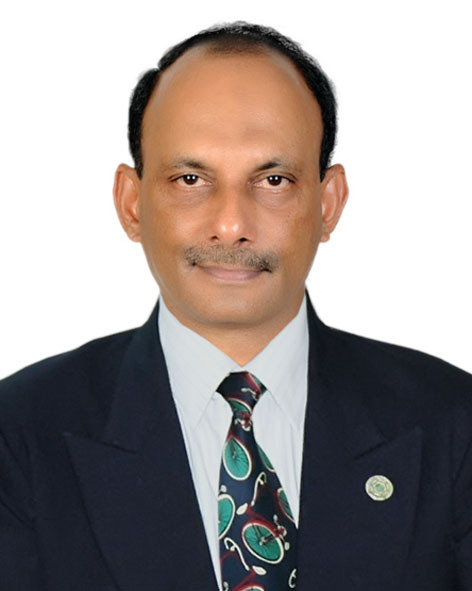 He enrolled as a cadet of 4th BMA Long Course in 1979 in Bangladesh Military Academy. He was commissioned in 1981 in the Regiment of Artillery and also completed his graduation from the University of Chittagong. In the Bangladesh Army he had assignments in various places- Army Headquarters, Formation Headquarters, Field Regiment of Artillery Units and Training Centre in different Command and Staff appointments. He commanded a Division Locating Battery of Artillery, A Field Regiment Arty and Headquarters Recruiting Unit. While in the Army he also carried a responsibility as Chief Instructor of Artillery Center & School. Always ready, active, energetic and courageous a young officer Mahbub took part in Counter Insurgency Operation (Operation Punching Tiger and Operation Dabanol) of Chittagong Hill tracts. He had the opportunity to serve the disaster stricken people of his country during the major flood in 1988, in maximum affected area like Chilmari, Roumary and Bhurungamary. He actively participated with the US Marine Forces after the Cyclonic Storm and Tidal bore in 1991 in Bangladesh for disaster management (Operation Sea Angel). He joined many other Operations and Nation-building activities during his Military life. Till February 2008 he served as Assistant Adjutant & Quarter Master General of Area Headquarters, Savar. In 1994 Lt Col Mahbub was appointed as United Nations Military Observer (UNMO) and served for the peace of the people of Liberia and Tajikistan. Once again he got the equal opportunity to work for the peace of the people of Ivory Coast as Chief Logistic Officer (CLO) of a Bangladeshi Contingent under the UN umbrella in 2005. In Hawaii USA he completed a Course on “Security Studies” at Asia Pacific Center for Security Studies (APCSS). He is an Alumni of APCSS. Recently Mahbub has obtained MBA (HR) Degree. As an Army Officer and a visitor he had been to many foreign lands- India, Pakistan, Singapore, Thailand, Uzbekistan, Tajikistan, Bahrain, Dubai, Morocco, Ghana, Ivory Coast, Liberia, USA and traveled across many more Countries. Now his main concern and determination is to work for the humanity and carry the service, name and flag of “HAMDARD” high in future.